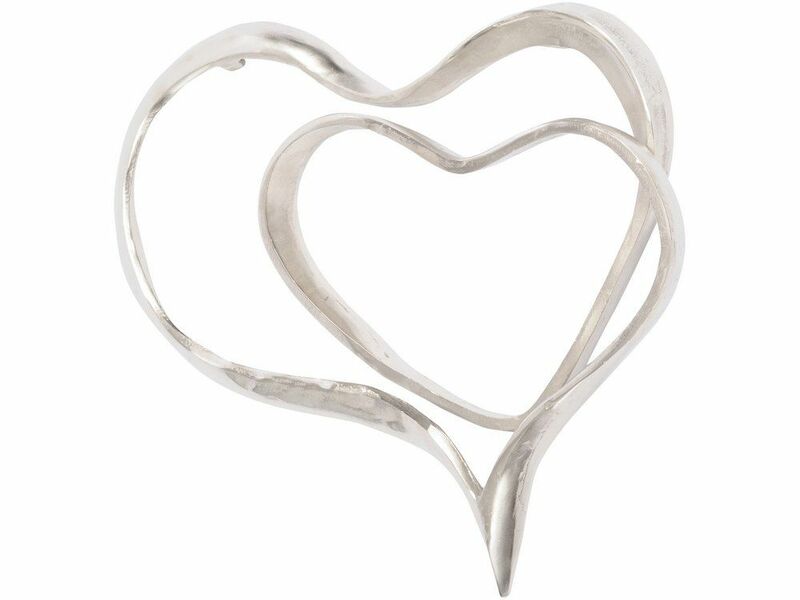 Bring a loving touch to your home with this abstract silver hearts wall hanging, depicting two hearts formed from a continuous flowing metal ribbon. Sand-cast in aluminium to give a delicately textured finish, the metal wall hanging has gentle curves and a subtle shine that will light up hearts and homes. Poignant in design, the never-ending silver ribbons hold one heart inside another, with the wavy edges creating a stunning abstract wall hanging. With two hidden keyholes that allow the sculpture to hang as if floating on a wall, this charming silver hearts decor is eye-catching wall art that will spread love and light around your home.